West Bengal is the fourth most populous state in the country, with a history of being one of the most important centres of trade, commerce and administration in the British era. This eastern Indian state is flanked on the North and the South by the sub – Himalayan area and the Gangetic Plains respectively. With a rich store of cultural, archaeological and natural heritage, West Bengal is considered by many to be a tourist’s paradise on earth. In this article we shall comprehensively deal with the various aspects of tourism in the state. This is a sleepy hill town located in the Mahabharata (Lower Himalayan) Ranges at an elevation of nearly 6700 ft. As the headquarters of the district of Darjeeling, this is one of the most famous hill stations, and attracts throngs of crowds from all over the world. Besides the transcendental beauty and picturesque, lush greenery, the town is also known for its tea industry which has been its special feature since the British era. The town is an integral part of the East Himalayan zoo-geographic zone, housing a wide variety of flaura and fauna – while alpine forests and Sal trees are the most prominent form of flora, gulls, badgers, civets and teals are the popular forms of the fauna here. This is a hill station located at an elevation of nearly 1300 metres. The Kalimpong subdivision, whose headquarters is located in the town bearing the same name, is a part of the Darjeeling district. This town was historically famous for being an integral link between India and Tibet, before the Chinese military manoeuvres of 1962 changed the political landscape of the whole region. With its characteristic temperate climate and untrammeled access to the breathtaking beauty of the Himalayas, and positioned on a ridge near the River Teesta, Kalimpong is one of the most visited destinations in the hilly regions of Bengal. Considered to be the gateway to Bhutan, from India, the Dooars region in West Bengal is present at the foothills of the Eastern Himalayan Ranges. River Sankosh divides the whole fertile region into an Eastern(known as Assam Dooars) and Western halves (known as Bengal Dooars). This region consists of a number of important cities and towns like Goalpara, Kokrajhar and Bongaigaon, besides the commercial hub Siliguri. These cities and towns are well connected to the rest of the country via roads and railways. The economy of Dooars is strongly dependent on timber trade, the indigenous tea industry and the flourishing tourism industry. Thus, if you get the chance to visit the Dooars anytime soon, do make it a point to take a look at the vast acres of tea plantations here! Previously a wildlife sanctuary, the Jaldapara National Park is situated in the district of Alipurduar on the banks of River Torsa, at the foothills of the Eastern Himalayan Ranges. This National Park presently forms the largest habitat of the endangered species of Indian one horned rhinoceros and is dotted with riverine forests throughout its length and breadth, most of which consists of marshy grasslands. Jaldapara is presently a Category IV Habitat Management Area and is surrounded by equally fragile fauna ecosystems. Famous for housing the Indian rhinoceros, the Gorumara National Park was adjudged the ‘best’ among all other protected and conserved regions in the country, in 2009 by the Ministry of Environment and Forests (MoEF). The National Park is located in the foothills of the Himalayas, in the region known as the Terai, in the Malbazar Subdivision of the district of Jalpaiguri. Sal forests and bamboo groves can be seen in plenty here. West Bengal is truly a place where one can expect to find the most unique aspects of nature and culture in the recent days – the Sunderban region adds yet another feather to the cap of this state. A UNESCO World Heritage Site and housing the largest mangrove forest in the world, the Sunderbans in West Bengal stretches for more than 10,000 kilometres and has a considerable portion in the neighbouring country of Bangladesh. The Royal Bengal Tiger, popularized by a number of films and novels, is the main attraction of this region. The Sunderbans National Park combines a Biosphere Reserve, a Tiger Reserve and a National Park within its precincts and the entire delta of Sunderbans has been formed by the confluence of the three rivers Meghna, Padma and Brahmaputra. Brought to the forefront of the tourism department in West Bengal by the celebrated writer and Nobel laureate Rabindranath Tagore, Shantiniketan has grown from being a sleepy town in the Bolpur district of the state to one of the most visited centres of tourism, in the recent days. It was the creation of the Vishva Bharati University, on Tagore’s initiative that threw open Shantiniketan to the many ideas of the outside world. The University has presently become one of the most cherished centres of learning in India, with a list of famous alumni that includes award winning film maker Satyajit Ray, Nobel Laureate Amartya Sen and famous art historian R. Siva Kumar. Tourism in this town is at its peak during the annual fair known as ‘Poush Mela’, held during the winter months of December and January. The Palace was built in the 19th century by Duncan Macleod during the reign of Nawab Najib Humayun Jah and was then known as the Bara Kothi. It is located inside the campus of Kila Nizamat in the district of Murshidabad. William Cavendish was the Governor General of India, who is said to have taken active interest in the construction of this palace during his tenure in this country. The inside of this ancient palace is embellished with a variety of spell binding architecture, most of which can be traced back to the Mughal regime that preceded the British in India. For preservation purposes, and for the promotion of tourism, the palace was handed over to the Archaeological Survey of India in 1985. Designed and built during Maharaja Nripendra Narayan’s reign in the region of Cooch Behar, and also known as the Victor Jubilee Palace, this is one of the landmark sites to visit in the northern parts of West Bengal. The design of Palace has stark similarities with that of London’s Buckingham Palace. The Durbar Hall of the Palace is a metal dome cylindrical ventilators at the top (these ventilators are similar to those present in the Louvre Museum in Paris), which are strongly reminiscent of the Renaissance style of architecture. A number of halls are present inside the Palace, each with its own intricate pattern of designing, and one can see a number of arcaded verandas built one after the other from the front entrance. This is counted as one of the most marvellous achievements of the British during their reign in India. The bridge was built in 1943, to replace a pontoon bridge over the River Hooghly, and facilitate better movement of goods and traffic in and out of the city of Kolkata. This is essentially a cantilever bridge that is considered to be the busiest of its kind in the whole world, handling a population of more than 1,00,000 vehicles on a daily basis. In 1965, the bridge was renamed as Rabindra Setu to honour the contributions of Nobel Laureate Rabindranath Tagore to the growth and prosperity of Bengal. Ramakrishna Paramahamsa’s legacy of selfless devotion to the cause of alleviation of sufferings of common people was carried forward by his disciple Swami Vivekananda – a well known religious and social reformer of the 19th and 20th century who is famous for having carried the message of Indian religions to the whole world via a mesmerizing speech at the World Parliament of Religions in Chicago in 1893. And the pioneering initiatives of Swamiji culminated in the creation of the Ramakrishna Math and Mission, which is the umbrella organization for the various undertaken in the Ramakrishna Movement in India, in the past – Belur Math happens to be the headquarters of this institution and is located on the west bank of River Hooghly, in the Belur region of the capital city of Kolkata. One of the most visited religious institutions in the city of Kolkata, the Belur Math is displays fine fusion of Hindu, Islam and Christian ideas in its architecture. 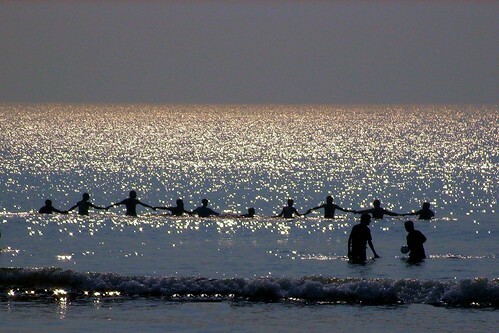 Located in the district of East Midnapore in West Bengal, Digha is one of the famous seaside resort cities in the state. Considered to be the ideal weekend getaway for city dwellers, especially the inhabitants of Kolkata, Digha never fails to charm the human eye with its umpteen beaches. Previously, Mandarmani used to be just a seaside village, adjacent to Digha, and situated at the northern end of the Bay of Bengal, in the district of East Midnapore in West Bengal. However, with the growth in the tourism industry of the state and increasing fame of Digha as a popular tourist destination, Mandarmani too started finding its own set of enthusiastic and regular tourists. It is said to have the longest motor- able beach in the country, and is popularly known for the presence of a special variety of red crabs along the beach. The state is a paradise for the connoisseurs of good food, and is especially well known for the number of fish based preparations available here. Hilsa and Prawn are the two most popular varieties of fish prepared and consumed in a number of ways in the state. Sondesh, Sweet Curd (Misti Doi) and special sweetmeats like Rosogolla and Chomchom form the cream of cuisine in Bengal. Besides, the roadside stalls selling ‘jhal muri’ (a concoction of puffed rice and various masalas) and phuchka (popular as Golgappa and Panipuri in other parts of the country) are ubiquitous. There is an emphatic one word answer for this – Durga Puja! This is the most popular festival among the Bengalis and is celebrated with immense pomp and glamour, with preparations that take almost a couple of months to complete. ‘Puja Pandals’ are set up with unique themes, and these pandals attract throngs of people from all over the state and the country. The four most exciting days during the festival are Saptami, Ashtami, Nabami and Mahadashami, and one can spot entire streets of cities and villages flooded with people, dressed in all new clothes. Besides, one can also observe the festivities during Poila Baisakh (the first day of the Bengali New Year), Saraswati Puja (devoted to Goddess Saraswati) and the Poush Mela held in winter in Shantiniketan, all of them unique to the state. A visit to the Eden Gardens, the mesmerizing cricket stadium standing at the heart of Kolkata, is perhaps necessary for anyone who claims to be a sports enthusiast. The state has a rich legacy of producing sports persons in all fields – from football to cricket to tennis. Salt Lake Stadium in Kolkata, the second largest football stadium in the world, is a piece of wonder and is the symbol of the state’s love for the game of football. Besides, the Royal Calcutta Golf Club and the Tollygunge Club are reminiscent of the many achievements of the city of Kolkata during the British era. While taking note of the unique achievements of West Bengal, tourists ought not to miss the rich treasure trove of arts and culture that lies entrenched here. The ‘Baul’ tradition of Bengali folk music has been kept alive even in the 21st century and the district of Purulia is well known for its ‘Chhau Dance’ which is counted upon as one of the oldest and most popular dance forms of medieval India. And, needless to mention, tourists should make sure they avail the facilities of the Kolkata Tram system, which is presently the only functional tram network in India, and has been in operation since 1902. Kolkata is the most preferred place of accommodation in the state, given the vast array of facilities that it has on offer for tourists. Hotels and guest houses of all types are available in the capital city of the state – those near the airport or railway station usually being a tad too expensive. Cheaper accommodation is available further inside the city, with areas like Jadavpore in South Kolkata and most parts of North Kolkata offering excellent low budget accommodation. Netaji Subhash International Airport in Kolkata offers the easiest way to enter West Bengal, for those who are using the airways. The airport is situated in the Dum Dum area of the capital city of Kolkata, and one can easily hire cabs or private vehicles from the airport to visit any part of the state by road. One may also access the railways after getting down at the airport, as it is situated close to the Howrah Railway Station. The state capital is linked to various parts of the country by a number of national highways. Besides, other parts of the state can also be accessed via roads. Howrah, New Jalpaiguri, Siliguri, Asansol and Burdwan are some of the important railway stations in West Bengal which have a number of trains, of all kinds, passing through them. Most holiday destinations in the hills are reached by taking a train till New Jalpaiguri and hiring private vehicles from thereon. However, many tourists come to this state not just to stay in Kolkata – the real attraction lies in the hills and jungles of North Bengal, which has its own well developed brand of tourism and concomitant accommodation options. Resorts are available in the hilly areas, but they have to be booked in advance during the peak season, since the tourists’ demand is at an all time high during that period time. Home stay facilities offer a different brand of accommodation altogether, and is especially helpful for those who are looking for homely care even in the faraway hills of the state – the rates charged for such home stay arrangements are also on the reasonable side. Tour operators in the northern parts of the city often arrange travel and accommodation together for tourists. Neighboring Indian States: Odisha, Jharkhand, Bihar, Sikkim, Assam. Major Rivers: Adi Ganga, Haldi, Hooghly, Teesta, Torsa, Damodar, Mayurakshi, Mundeswari, Mahananda, Kalindi, Jamuna, Ichamati, Bakreshwar, Gandheswari, Kalindi, Rupnarayan. Major Mountain Peaks: Sandakfu (3636 Meter)(Highest of West Bengal), Falut, Tiger Hill, Ghum Hill, Deolo Hill, Durpin Hill. Major Mountains: Singalila Ridge, Dajeeling-Karsiang range, Chola Range, Buxa-Jayanti range. 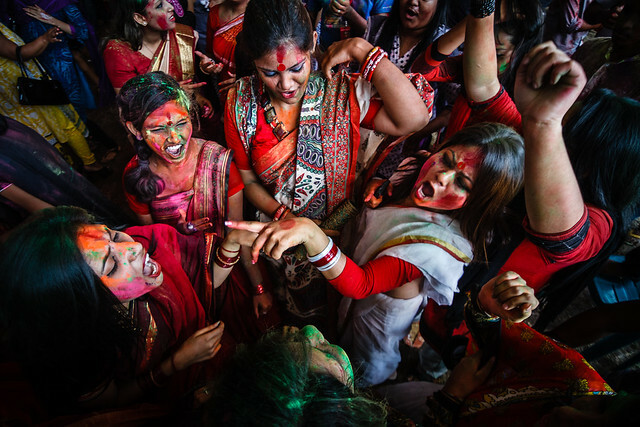 Major Festivals: Durga Puja, Poila Baishakh (the Bengali New Year), Rathayatra, Dolyatra or Basanta-Utsab, Nobanno, Poush Parbon, Kali Puja, Saraswati Puja, Laxmi Puja. Major Tourist Places: Dajeeling, Sundarbans National Park, Shantiniketan, Jaldhapara Wildlife Sanctuary, Hazarduari Palace, Adina Mosque, Howrah Bridge, The Great Banyan Tree, Victoria Memorial, Calcutta Museum, Digha Beach.